Adam Equipment offers a comprehensive selection of precision balances, analytical balances and moisture analysers created for chemical laboratories. Moisture analysers incorporate specialist heating and drying techniques used to determine moisture loss as a percentage in skin creams, lotions, gels and hair products. Through calculating moisture loss operators can ensure cosmetic products, such as skin creams, maintain optimum consistency when applied to the face or body. 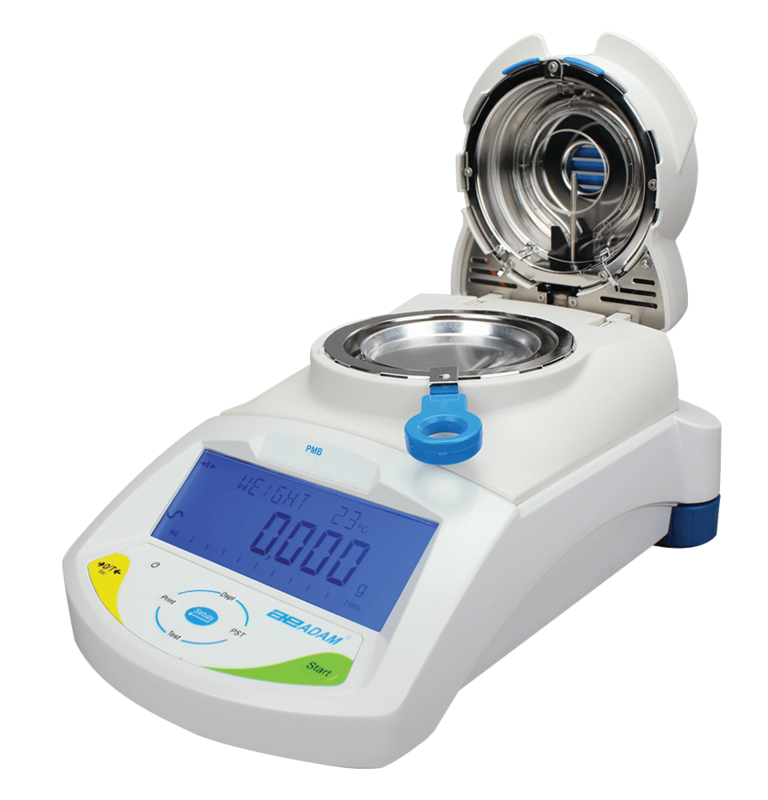 Approved precision balances with percentage weighing functionality are often required in cosmetic production and can be used to manufacture a range of products including soaps, oils and perfumes. Percentage weighing allows the operator to add individual ingredients in percentage ratios, up to a 100% total. NMI approvals are necessary for buying and selling cosmetic products by weight and require bottled or packaged products to meet the weight limit specified on the label. Semi-micro and analytical balances offer exceptional precision with resolutions reaching the sub-milligram range. These professional balances are constructed with durable, chemical-resistant housing used to weigh hazardous powders and petroleum chemicals. Specific dynamic weighing, density determination and gravity testing functionality allow intricate weighing procedures to be carried out with minimal effort. Combining durable construction and smart weighing features, Adam balances make for ideal weighing machines that can be used in cosmetics production or complex chemical analysis procedures.